This is a feature that I've wanted to do for a long time and which is very, very close to my heart. As some of you know, I grew up in New York City and spent a good part of my life there, and it will always be special to me. I still feel a thrill whenever NYC plays any kind of part in a book, whether it's just a brief mention or the whole novel is set in the city. 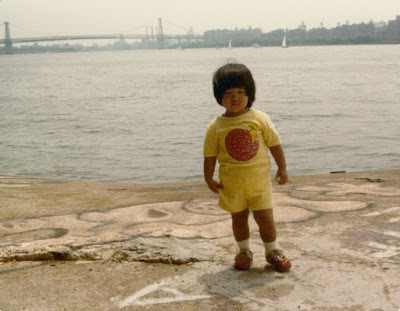 I really don't have a set format for these posts; basically I'm just going to talk about the NYC-ness of a particular book and maybe throw in a few relevant anecdotes if I've been to a real-life place in the book, etc. I LOVE the design of this cover so much, from the beautiful skyline shot to the clever juxtaposition of the skyline and the ship with the bottle. This is a cover that completely ties in to the story beneath it: Etta, one of the two main characters, time travels from present day NYC to its colonial past, as well as to other locations around the world. Before her life is upended, though, violinist Etta is preparing to make her debut as a soloist with the New York Philharmonic at Lincoln Center's Avery Fisher Hall. She has a pre-debut performance scheduled at the Metropolitan Museum of Art, where her mother works, playing at a fund-raising event. The scenes described in Etta's New York definitely brought back some memories. I've been to the Met once, and it's as amazing an experience as you can imagine, to be under the same roof with all of those exquisite works of art. Back when my friend and I were students at New York University, we saw the New York Philharmonic. She had to attend a classical music performance for an assignment, and we went to what I think was called a Casual Saturday concert. I admit that I'm not a classical music buff, but I'm so glad that I didn't bypass this opportunity. I still appreciated the beauty of the music, even if it wasn't the kind that I'd normally listen to. "She closed her eyes, picturing Brooklyn Bridge stretching over her head, the fanned-out cables, the sturdy stone arches." You are too cute! So chunky I want to smother you with hugs and kisses! Thanks sis! 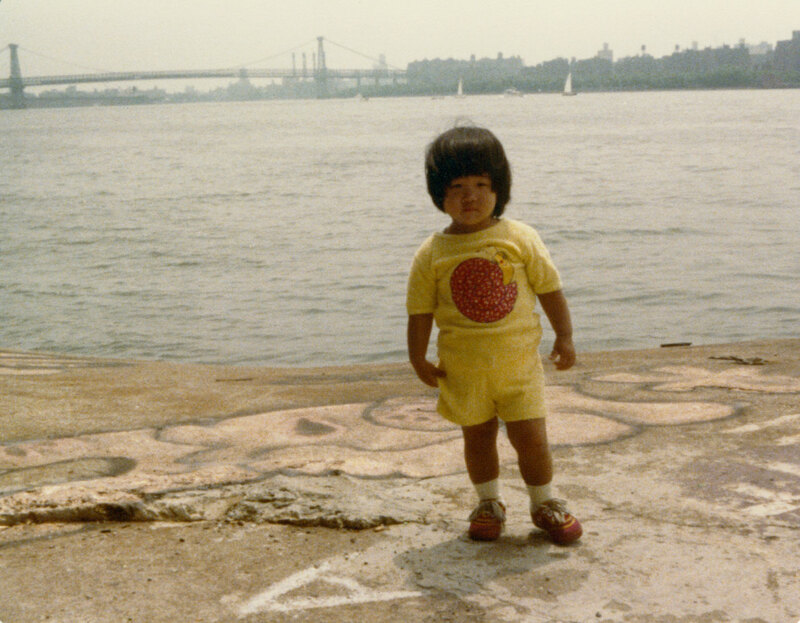 ♥ I have plenty more embarrassing throwback photos of myself for future posts, bahahaha! I totally, totally understand about being so busy with bookish events that you don't have much downtime to explore the surrounding city. That's exactly how the girls and I felt about our trip to Charleston for YALLFest last year. We only got a glimpse of Charleston and loved it and wished we'd had more time to just walk around exploring. And there are so, so, so many places I never got to see while living in NYC because I always thought that I'd have forever to visit them, lol. This is a wonderful feature Lee! I've only been to NYC once, but reading your thoughts on it will be very interesting. 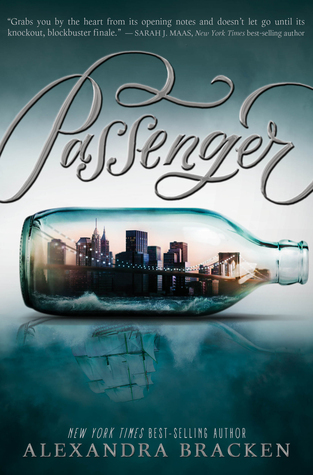 I have to remember your comments on the setting when I read Passenger (hopefully soon!). The photo of you is adorable too! Thank you, Charlene! I hope you enjoy Passenger as much as I did! 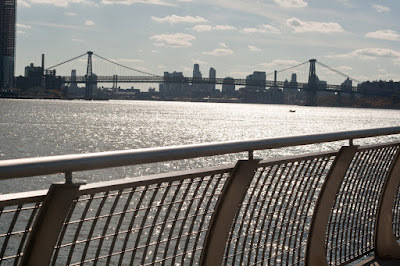 It definitely left me feeling very sentimental about NY, lol, but I also loved visiting the other places the two main characters traveled to as well!